Today marks the release of lovely little adventure game Zero Escape: Virtue's Last Reward, and if you think that's a silly name, you're not alone. For decades now, Japanese developers have whipped up a great number of video games with titles that seem more than bizarre to Western audiences. As an unabashed fan of Japan-made games, I've grown to accept that. But it's still hard to believe that some of them exist. Japan isn't the only country that makes games with strange names, of course, but they do make some of the funniest. Here are 11 Japanese video games with titles as fantastic as Virtue's Last Reward. According to the product description for Cacoma Knight in Bizyland, the king of Bizyland is named King Cacoma. Why is there also a Cacoma Knight? Is it somehow unusual or title-worthy that one of Cacoma's knights is in Bizyland? And how hard can it be to stop someone named Queen Wagamama? Developed by Japanese studio tri-Ace (best known for the solid Star Ocean series), Infinite Undiscovery is supposed to mean "an infinite number of unknown discoveries." I don't know if they really got that across. The only way this name could possibly make sense is if there was a comma after "Tactics" and the whole thing was a line of dialogue. And if you were friends with Shrek. "Oh, come on," you might be thinking. "At least this one makes sense in Japanese." It does not. "Ar tonelico" is the name of the series; "Qoga" is a made-up word in the game; "Knell" is an English word that refers to the sound of death bells; and "Ar Ciel" is the fictional planet that the series takes place on. And Ar tonelico Qoga: Knell of Ar Ciel is a GameStop clerk's worst nightmare. Still unannounced for U.S. release, Bravely Default: Flying Fairy tells the harrowing story of a winged pixie who can't afford to pay off her mortgage. 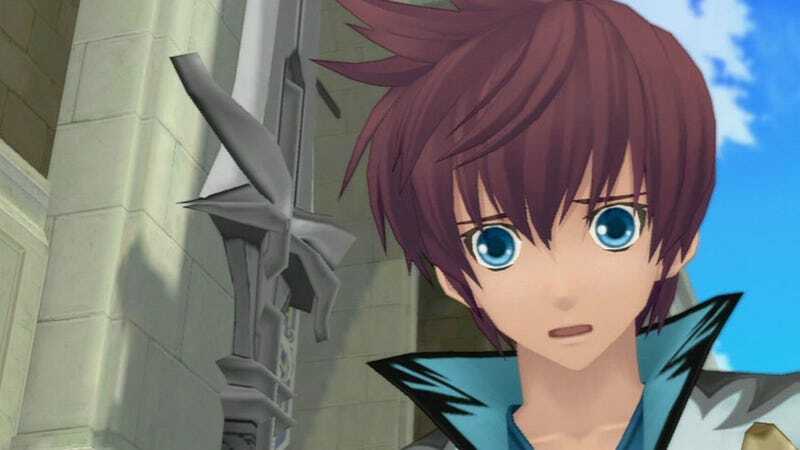 Tales of Graces actually ain't all that bad. Sure, the double-plural is awkward—"Tales of Grace" might read better—but the name isn't terrible. Then there's that F. Dangling off the end of the title like a barnacle on a frigate, that F is supposed to symbolize the game's bonus chapter. Instead it looks like they were going to add another word but then just kind of gave up. Suikoden is Japanese for "Water Margin." Tierkreis is German for "Zodiac." Put together, they're English for "I don't want to ever say this out loud." On one hand, "Unlosing Ranger" and "Darkdeath Evilman" are actually the names of characters in this strategy-role-playing game for PSP. On the other hand, "Unlosing Ranger" and "Darkdeath Evilman" are actually the names of characters in this strategy-role-playing game for PSP. The only thing more amusing than the name Irritating Stick is the thought that there were people—multiple people!—who thought it was a good idea to release a game called Irritating Stick. Irritating Stick! Here are the names of the characters in Evolution: World of Sacred Device. These are the actual names from the actual game. Mag Launcher. Gre Naid. Linear Cannon. Chain Gun. Pepper Box. Eugene. I don't want to say Dissidia 012 [duodecim] Final Fantasy is a stupid name, but if a game's title has enough letters, numbers, and symbols to register as a strong password on Gmail, it might not work. Did I miss any good ones? Submit your own below.